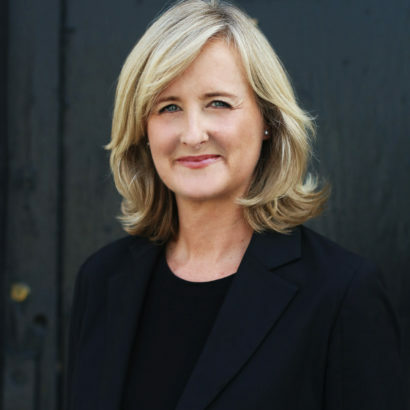 Carolyn Spriet, an executive with more than 20 years of experience in the consumer goods industry in Canada, today joins Hallmark as president of Hallmark Canada, succeeding Cindy Mahoney, who was promoted to co-CEO Hallmark International, earlier this year. In her role as president, Spriet will assume ownership of the vision, strategy, business operations and key customer relationships for Hallmark Canada to build on this success. Most recently, Spriet was vice president and general manager for Sun Products Canada, a stand-alone division of a private equity venture created with the acquisition of Unilever’s laundry business. After championing the start-up of the private-label company, she went on to lead a cross-functional team of more than 60 employees to deliver results in sales, trade and brand marketing strategy, logistics and customer relationships. Prior to that, Spriet spent 15 years with Unilever Canada, in leadership roles across customer development, brand and marketing. Spriet received a bachelor’s degree in business administration from Wilfrid Laurier University in Waterloo, Ont. Hallmark Canada has been helping Canadians with their social expression needs for more than 100 years. The true heritage of Hallmark is deeply rooted in Canada. Equipped with only 125 card designs and 10 employees, the William E. Coutts Company sold greeting cards across Canada (1916 — 1931). In the 1930’s, the company merged with family-owned Hallmark Cards, Inc. Headquartered in Kansas City, Missouri and employing more than 28,000 worldwide, the approximately $4 billion company operates a diversified portfolio of businesses. Today, Hallmark Canada sells products in more than 4,000 locations across Canada. For more than 100 years, family-owned Hallmark Cards, Inc. has been dedicated to creating a more emotionally connected world. Headquartered in Kansas City, Missouri and employing more than 30,000 worldwide, the approximately $4 billion company operates a diversified portfolio of businesses. Its global Hallmark Greetings business sells greeting cards and gift wrap in more than 30 languages with distribution in more than 100 countries and 100,000 rooftops. Hallmark Retail operates 2,000 Hallmark Gold Crown stores in five countries and Hallmark Home & Gifts sells a broad array of home décor and gift product throughout the U.S. Crayola® offers a wide range of art materials and toys designed to spark children’s creativity around the globe. Crown Media Family Networks operates three cable channels – Hallmark Channel, Hallmark Movies & Mysteries, and Hallmark Drama – in addition to Hallmark Publishing, the e-books division of the Hallmark channels, and Hallmark Movies Now, a subscription-based streaming service. Crown Center is a real estate development company that manages the 85-acre hotel, office, entertainment and residential campus surrounding Hallmark’s headquarters. For more information, visit Hallmark.com.